"All branches of the church have been responsible for the most extraordinary cruelty." With the spiffy, effects-heavy theatrical movie version of Philip Pullman's The Golden Compass�the first in the wonderful His Dark Materials trilogy�due in December '07, there is no time like the present for Koch Vision to release this 71 minute made-for-British-television documentary about the book, the author, and the controversial meaning behind it all. The first book (The Golden Compass, or Northern Lights if you're in the U.K.) came out in 1995, with the remaining two volumes in the trilogy (The Subtle Knife and The Amber Spyglass) released in 1997 and 2000, respectively. It's the story of a young girl with a special gift, dangerous parallel worlds, a mysterious particle known as Dust, and ultimately a grand battle between good and evil. While the books�at least on the surface�appear to be typical fantasy fare ostensibly geared toward children, it doesn't take much reading to begin absorbing Pullman's apparent dislike and distrust of all things religious. 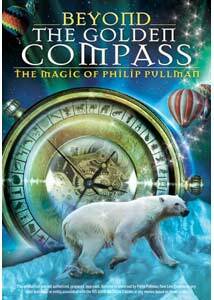 His Dark Materials is a remarkably grim adventure�thrilling and inventive to be sure�and Pullman's subtext does seem to add a nice layer of alternative social commentary. The analysis of that prickly subject�which is the underlying theme of Pullman's books�is also the focal point of Jean-Pierre Isbouts' documentary, allowing a few scholars/historians to expound on the deeper meaning of what means what. But what really gives some credence to Isbouts' doc is the presence of Pullman, who in interview snippets never once shies away from admitting freely how the book and his beliefs (or lack thereof) are closely intertwined. We're told by one expert that Pullman's trilogy is a "distillation of all that he hates," which seems perhaps a little strong, regardless of how closely the book's evil organization the Magisterium resembles a certain powerful religious outfit that happens to rhyme with "Hatican." The twists and variations between our real world versus that familiar-yet-different place that exists in Pullman's His Dark Materials series also get addressed by Isbouts, touching on the "word riddles" the author used to create entirely new everyday items. And as connecting points, we're given largely dialogue-based, soft focus reenactments of passages from the book, with actors portraying the principle characters while a narrator explains who they are and what their place is in the context of the books. These sidebars seem more like filler, because the real meat is all the talk of Pullman's sly tilt on organized religion, and especially how that all fits within a story geared toward children. A few dry spots early on give way to a generally interesting discussion of the books' sometimes deceptively intricate themes, but I could have done without the attempts at portraying characters from the book with actors. I do pity the parents who may pick this up for their youngsters based solely on the cover art as a possible feature film tie-in, only to find a serious dissertation on Pullman's writings. It should be noted that this is in no way tied to the new feature film, and does not include any footage, trailers, etc. Image Transfer Review: Koch Vision has issued Jean-Pierre Isbouts' doc in 1.78:1 anamorphic widescreen. There's a fair amount of very light grain in spots, and edges tend to appear rather soft. Colors and fleshtones are pleasant and natural, though the overall is palette is fairly reserved. No major blemishes or dirt present on an otherwise ordinary transfer. Audio Transfer Review: Audio is presented in Dolby Digital 5.1 surround. Not an especially robust mix, but generally clean, with no issues in voice clarity. The segments with Pullman appear to have been recorded poorly, with a significant hiss evident. Extras Review: Bonus material includes an extended Interview With Philip Pullman (06m:04s), where the author responds to narration-free text questions. The format is a little clunky, and the hiss during Pullman's segments is pretty notable, but the content is interesting, brief as it is. He doesn't get to expound at great length, but of all the participants in this doc he's obviously the most relevant. On a slightly windier and/or esoteric side, there's The Scholars Debate (16m:18s), where the three principle historians from the main doc further elaborate on things like what exactly the character of Lyra represents. It's a bit heavy, and full of much educated theorizing, and comes off more like a collection of leftover footage than anything else. Philip Pullman's Oxford (14m:57s) trots the sacred grounds of Oxford, offering up remembrances of Pullman's time there, whileDirector's Comments (24m:46s) features self-described "filmmaker, archeologist, art historian, [and] professor of media studies" Jean-Pierre Isbouts speaking over a series of still photos related to the production. The portions that feature the influential artwork that inspired Pullman ranks high, while the discussion of where the rest of the documentary was shot, not so much. There's much to discuss about Pullman and his brilliant His Dark Materials series, and its bold take on organized religion presented as a story for children. The author himself chimes in, as do a number of historians, all looking for and explaining the hidden meanings in books that are far too good to be "just for kids." A little uneven in its presentation, but it did make me want to read the books all over again.